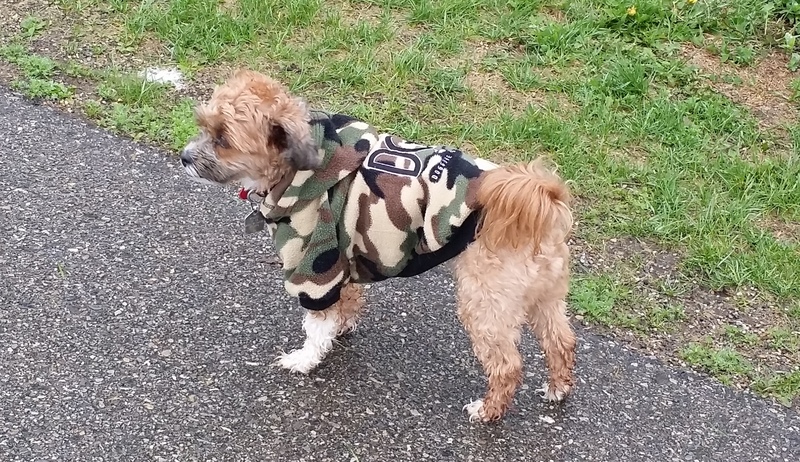 What the discerning pooch is wearing…..
Berkeley was rockin’ the camo on a wet Pooch Walk today. 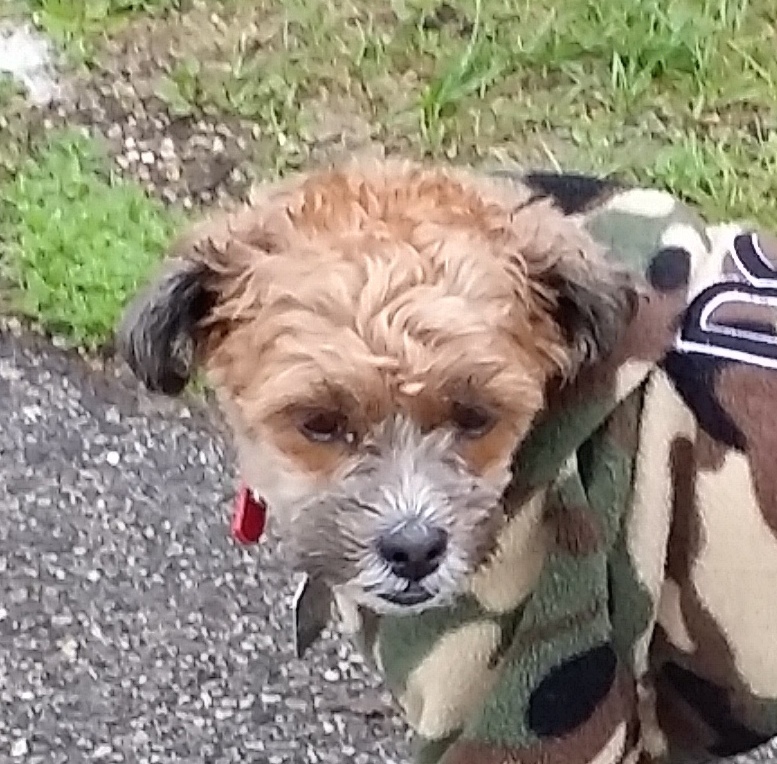 This entry was posted in Dog Walking, Dogs, Nature and tagged Berkeley, Bichon Shih Tzu Yorkie, camo hoodie. Bookmark the permalink. ← Profile of the day competition….